Using collective negotiations and other related strategies of mobilisation and pressure to influence laws and urban policies in favour of street vendors and other informal workers. The New Urban Agenda is to be used as a tool in this process. Implementing R204 at country level including gaining access to tripartite forums, extension of social protection, and advancing social solidarity economy structures. Building regional solidarity between StreetNet affiliates across borders, and building regional alliances in order to advance the interests of cross-border informal traders (amongst other objectives). Continue growing and developing StreetNet International. StreetNet welcomes the Nepal Union of Street Traders (NEST-Nepal) and Moldova-Business-Sind (Moldova) as newly established StreetNet Regional Focal Points (RFP) for Asia and Europe respectively. Recently, at the 2018 International Council meeting, StreetNet leadership approved the recommendation of its affiliates from Asia and Eastern Europe to move the StreetNet RFPs for Asia to Nepal and the RFP for Europe to Moldova. 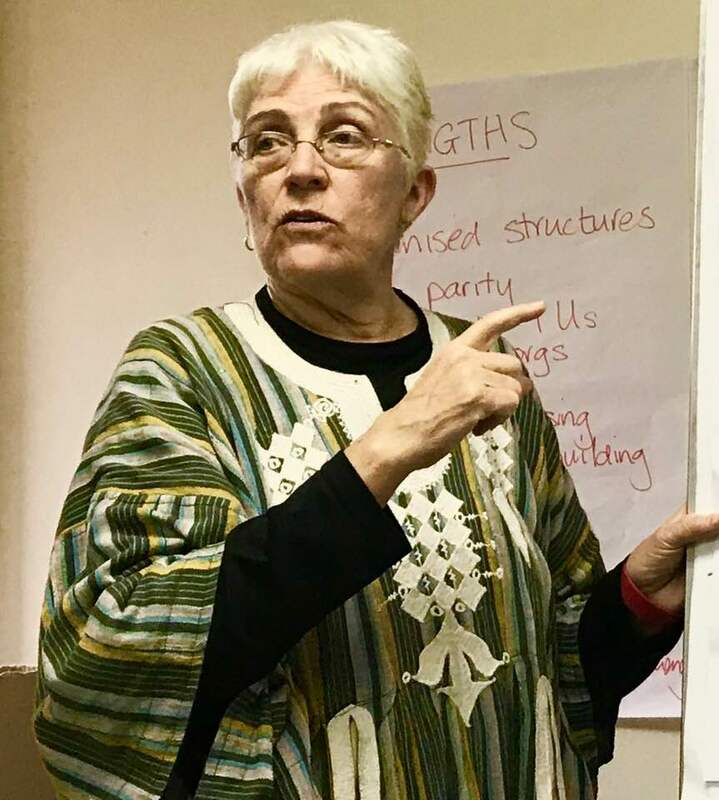 Pat Horn, StreetNet International Coordinator shares the progress made towards implementation of the ILO Recommendation 204: (Transition from the Informal to the Formal Economy) in South Africa. Soon after the adoption of ILO Recommendation 204 (R204) at the International Labour Conference in Geneva in June 2015, the Department of Labour of the Government of South Africa convened a meeting of government (including the Department of Labour (DoL), the Department of Small Business Development (DSBD) and the KwaZulu-Natal Provincial Government) with organised labour and organised business. But they forgot to involve any representatives of workers and economic units in the informal economy! 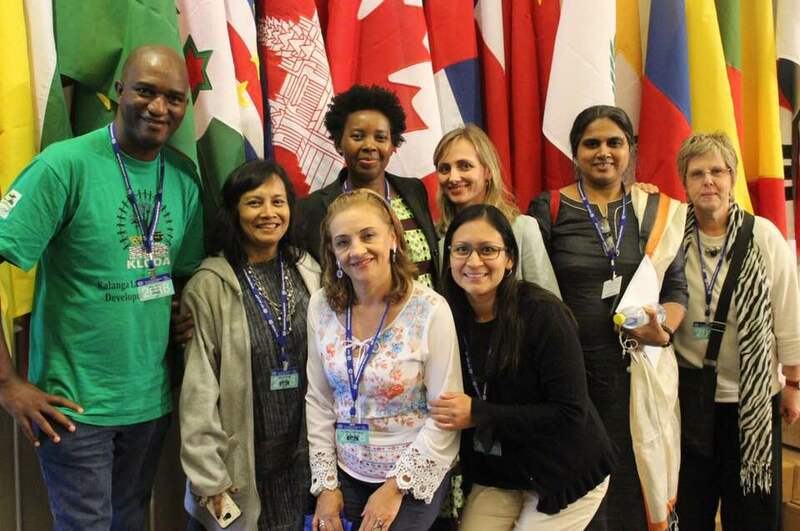 In June 2018, a StreetNet International delegation led by the StreetNet President Lorraine Sibanda attended the International Labour Conference (ILC) 2018. The StreetNet delegation included Lorraine Sibanda, StreetNet President; Oksana Abboud, Trainee Coordinator; Wisborn Malaya, ZCIEA Secretary General; Maria Emilia Vargas Luzon, FUTTEINCO Member; Sarah Joanny Lora Abad de Valdez, FUTTEINCO Member; and Miriam Altagracia Ferreras de Rivas, FUTTEINCO Member. It was a first time for most of the StreetNet delegates to attend the ILC, so it was valuable to get an in-depth understanding of the Conference. The StreetNet delegation mainly focussed its presence and attention on the work of the Tripartite Committee on Ending Violence and Harassment, which has been developing a new international standard-setting instrument on preventing violence and harassment in the world of work. Jeannette Nyiramasengesho, StreetNet International Council Member and a President of SYTRIECI, StreetNet Affiliate from Rwanda, shares experience on working with refugees in her country. A three day Leadership Training for the members of StreetNet International Council took place on 23-25 January in Durban, South Africa. 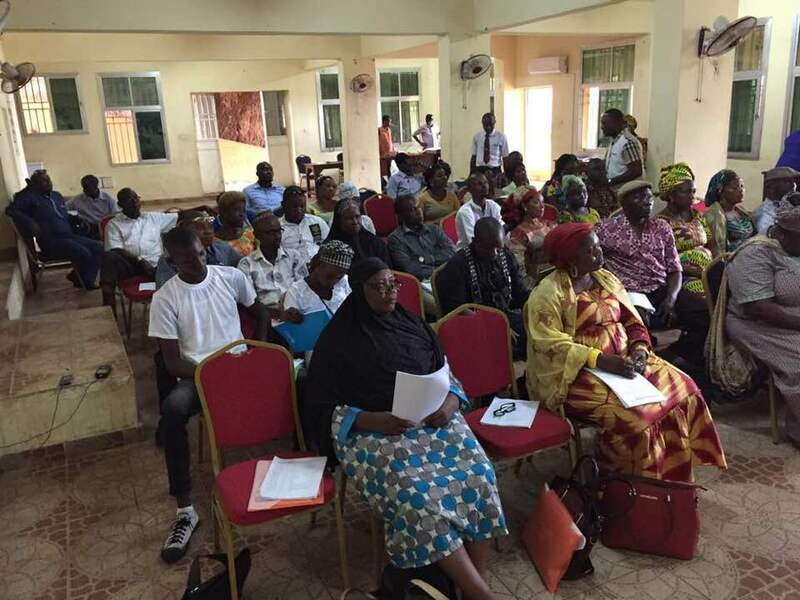 The training program was aimed on getting new Council members to be familiar with StreetNet structure, policies and power as well as outlining strategic areas for the next three years. The training method was participatory, with participants breaking into language based groups who had to read through the clauses of the StreetNet Constitution which describes the roles of the office bearers (clauses 9.5 to 9.9), as well as the powers and duties of the International Council (clause 10.6), and the StreetNet policies. Code of Conduct is comprehensive and needs no additions. The Fundraising strategy and information about specific donors was presented by Pat Horn, StreetNet International Coordinator, which turned into a lively discussion among participants and resulted in proposals’ list to be discussed at the International Council Meeting on 26-27 January. Pat Horn emphasized that while approaching the donors, we have to create confidence and make sure that we are continuing to evolve in a way that is collectively supported by the leadership. Donors get very worried if old decisions, obligations and planning are abandoned by new leadership. She also reminded that a big task for the coming period is to raise funds, as currently there is very little money in the StreetNet’s pot. Day two of the StreetNet Leadership Training was aimed at Strategic Planning. Jane Barret, WIEGO International Coordinator was facilitating the whole day sessions. The participants were working on the following issues: Impacting on laws and urban policies through collective negotiations; how to roll out to all StreetNet affiliates using the New Urban Agenda; Implementation of R204; gaining access into tripartite forums; extension of social protection; social solidarity economy structures. The Council Members also discussed the issue of regional impact and informal cross-border traders, regional alliances, how to roll out to more regions. Consolidating a strategic plan for current International Council mandate was successfully achieved. The third Day of the Training was focused on management of resources in order to equip the new leadership to lead on these issues, and to make any recommendations for amendments to the systems in the International Council meeting. Pat Horn, StreetNet International Coordinator introduced to the Council Members the issue of Resources Management and Annelene Muhammad Shafi, Financial Administrator clearly briefed about current StreetNet financial situation. During the evaluation session, the participants expressed their views and satisfaction about the training, pointing on learning a lot of useful and necessary knowledge about StreetNet functioning and other interesting topics. Leadership of Ubumbano Traders’ Alliance, StreetNet affiliate from Durban, visited the Training to greet a new StreetNet President and the Council Members. 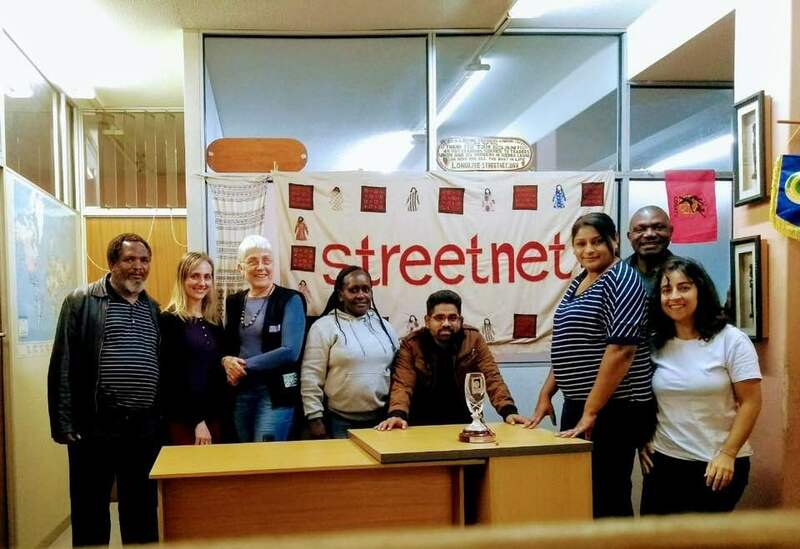 On 26-27 January, StreetNet International Council took place in StreetNet Office in Durban. Lorraine Sibanda, StreetNet President professionally chaired the Council Meeting which had a lot of items on its agenda. The first Council Meeting was held successfully as all the agenda issues were discussed and agreed by the Council members. International Coordinator’s report and recommendations have been also supported and adopted by the International Council.